The combination of Earth and Fire is an exceptional blend with both the people with different approach. 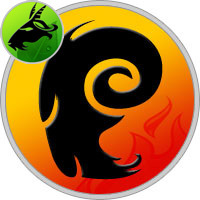 As the young and bright Aries soul craves for excitement in all forms, the strong headed Capricorn is decidedly more practical and earthy. For Aries love is demanding while for Capricorn it is undemanding and quiet exchange of affection. The Capricorn man is a very sovereign and committed person with inbuilt wisdom and persistence. Generally he leads an ambitious life and pursues all the ambitions fiercely. He believes in permanence and self discipline and never involves in a relationship just for fun. In a relationship with an Aries woman, he is an affectionate partner with lots of understanding and patience to keep the relationship strong. Though at times he appears to be cold and detached, but it’s just one of his characteristic, while deep inside he is a loyal lover. The Aries woman has a jaunty and carefree personality. She is glowing and fervent about everything she gets her hands on in life. At times she can be arrogant and is usually very possessive regarding the love of her. She gives a lot of enthusiasm to her Capricorn man and always accepts and admires his wisdom and ambitious nature. Any kind of jealously within her can turn her fiercely cold towards him for a great length of time. However, the dedication and purity of love always brings her back to her Capricorn man. The combination of an Aries woman and a Capricorn man is somewhat a typical relationship as both are extremely different from each other. An Aries woman on one hand, is very vivacious, and expressive whereas a Capricorn man is an introvert, but a determined person. But as you know, opposite attracts, so it may be possible for an Aries woman and a Capricorn man to match perfectly with each other. We advises that patience and tolerance from both sides are important to live life peacefully. The Aries woman’s positivity and sparkling personality impress a Capricorn man. As she finds him mysterious, his strong silent aura excites her and brings closer to him. She always stands for him to help him fulfill all his ambitions and also provides him with lots of excitement and passion in his life. Though her carefree nature sometimes disturbs him but as he reaches around middle age and becomes a little more carefree he tends to enjoy her company a lot. She coaxes him into the world of dreams and teaches him to live with less caution. She deeply admires him for his rock solid determination, tolerance and sincerity towards her and their relationship. She may sometimes hide her feelings from him because she finds him as cold and detached but she needs to understand that deep inside his lonely heart, he just loves and cares for her. The calm and composed surface of the Capricorn man pulls the Aries woman towards him. He is usually a self motivated person busy realizing his ambitions. Once he accepts a woman in his life, it is a serious thing for him. He finds her foolish sometimes but totally adores her innocence. He titters at her mistakes and grins at her profligacy. He gives her undivided attention and tames her fiery personality very calmly through his patience and mild approach. He makes her a more conventional and acceptable person with his devoted love. He always loves the strong personality of his Aries maiden and gives her complete freedom to enjoy her adventures but with some care. As the time passes and Earth and Fire starts blending nicely to just provide shelter and warmth to each other, this relationship takes a very beautiful picture. When they permanently overcome their mutual unintentional selfishness with their deep love, nothing can separate them. The strength of their love is unconquerable. Their unison is delicately decorated with all earthy and fiery beauties. An Aries woman is spontaneous and ardent, governed by her emotions while Capricorn man has more practical motivations. As they both come a long way together, they blend their differences so beautifully and they enjoy the rainbow of absolute and pure love throughout their lives. And when they finally have a harmonious relationship admiring each others differences, they grow a deep and lasting devotion both emotionally and sexually. When the Fire and Earth signs connect physically, the intimacy may take some time to form up. Usually in the sexual relationship between an Aries woman and Capricorn man, she takes her chances. She is the one in this relationship to initiate physical relationship. She brings excitement and passion to their love making while he brings deep warmth and permanence to it. He enjoys observing her body and how it jiggles and wiggles with just about any little movement. When she catches him when he’s too weak to resist, he responds to her fresh, enthusiastic expressions of love with profound intensity and a depth of affection that surprises as much as delights her. She could help her physical relationship by motivating him, a little help, a little support and a little encouragement. The intensity of their oneness makes them want each other more and enhances their relationship more charmingly. They both love to explore and fondle each other, together. Both have a lot of fun being explored, fondled, cuddled, and get squeezed in lusciousness of the moment. He gives up himself over to the pure bliss of the moment and this comes as an award to her. A moment when she totally owns her Capricorn man. The strains, worries and misinterpretations are quite obvious between the Capricorn man and Aries woman. The biggest fault comes where they both are selfish in their own ways and defends their way to be right. Though he loves the independence and courage of her, he cannot justify her impulsive reactions. Similarly, she always respects the determination and patience of him but finds him cold and detached making her insecure. She needs to be less demanding and he needs to be more expressive if they really value their relationship and want it to work. To maintain a healthy relationship between the two, they need to have ample amount of communication. If they both are patient enough and wait for the wisdom of their hearts to guide them, they definitely enjoy a beautiful relationship throughout their life.